Stribling Hall will be closed for renovations beginning Spring 2019. Named in honor of Ruth Stribling, daughter of Mr. & Mrs. J.C. Stribling whose gift made the building possible. The three-story building was completed in 1921 and renovated in 1992. 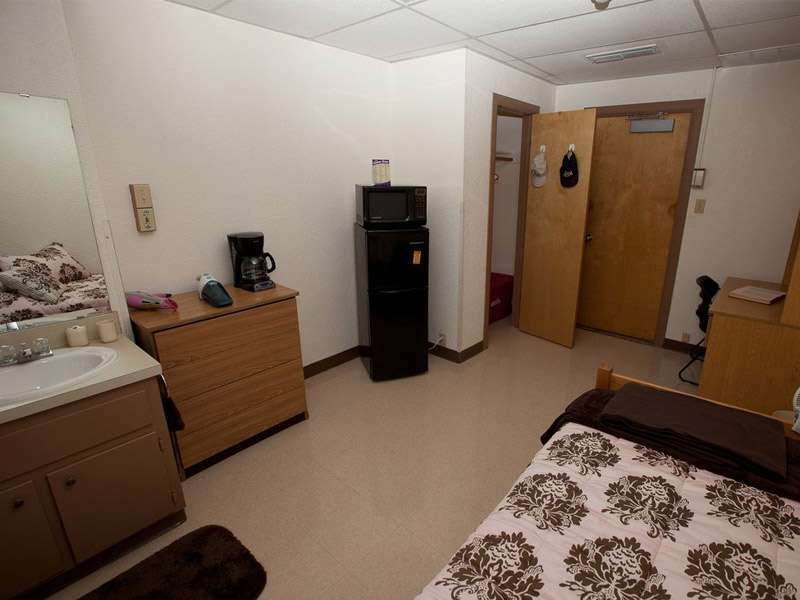 It is the only residence hall on campus that is made up exclusively of private rooms and houses 85 female residents. Centrally located on the quad, this three-story building is within easy walking distance to the dining hall, Crusader Café located in Mabee Student Center, the library, Mayborn Campus Center and all academic buildings. This facility includes a large, recently updated lobby with TV area. The lobby was updated for the fall of 2011 with new furniture, flooring, and fixtures. Elsewhere in the building is a computer lab, study rooms, vending machines, and a central laundry room where laundry can be done free of charge. Approximate room dimensions for a typical room in Stribling are 10' x 14' (140 sq. ft). Each room has one closet. Rooms are private and include a vanity/sink area within the room, 75" mattress, twin bed, desk, desk chair, and chest of drawers. Community bathrooms are located on each wing of each floor and have multiple stalls, showers, and one tub room per bathroom. These common bathrooms are cleaned daily by the housekeeping staff. Wireless internet is available in the building and there is an internet jack in the room. Internet and cable services are provided. View UMHB Channel Guide. The standard room has two windows. Window measurements are 33" wide X 67" high (inside casing). Mini-blinds are provided for each window.